Riverside Farmers Market Opens Today! This article is 2881 days old. 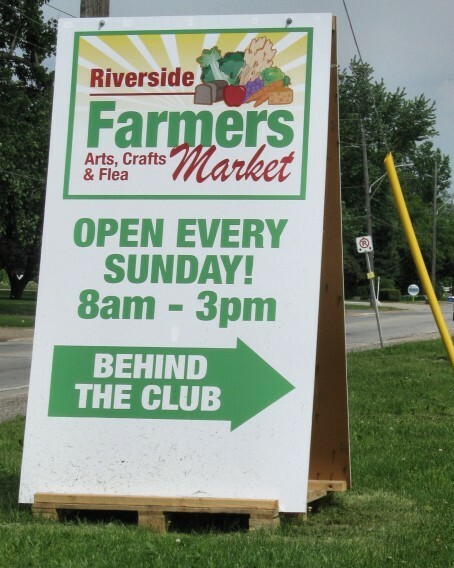 Celebrating it’s third season, the Riverside Farmers’ Market opens today at the Riverside Sportsmen Club located in East Windsor at 10835 Riverside Drive East. Stop by and support local by picking up farm-fresh produce, baked goods, browse local artwork, hand made crafts and more! It’s open every Sunday from 8:00 am to 3:00pm until the fall.